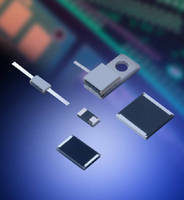 Multilayer Organic RF Inductors range from 1-32 nH. Featuring 0402 case size, RoHS-compliant RF Inductors are based on patented MLO(TM) multilayer low loss organic technology. Units offer 100% tin finish, are rated for operation from -55 to 125Ã‚°C, and can support frequencies above 1 GHz. Expansion-matched to printed circuit boards, devices are suitable for RF power amplifiers, low noise amplifiers, filter networks, and MRI systems. Resistive Products suit high power applications. Insulation Displacement Connectors offer gas-tight contacts. 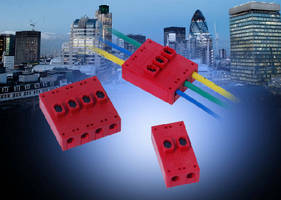 Wire-to-Wire Connectors suit junction box applications. 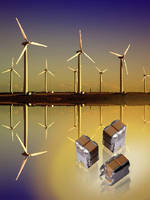 Automotive Varistors provide multiple-strike protection. 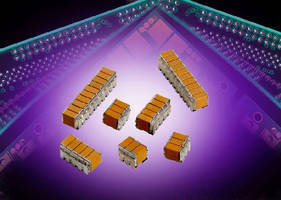 Miniature SMPS Capacitors feature double-stacked construction. Switch Mode Power Supply Capacitors are RoHS-compliant.